Here are some more notes on presentations that I attended with links to some of the websites and programs mentioned. Session Description: Who doesn’t like a game or two? Especially when there are abounding opportunities for language usage (not to mention the fun, thrilling and mind-boggling bit)! Reminiscing on my learners’ excitement and lit-up faces, I believe that games are, indeed, one of the most joyous parts of language learning. In today’s presentation, I’d like to share an exciting large-scale competitive game (akin to the Amazing Race) that you’d love to try out with your learners! Together, we’ll look at the works of it in terms of the game plan, materials required, tasks designed, game adaptability as well as some of my learners experiences. I more than welcome questions at the end of the session as my only wish is for you to try it out at your school too! Salome Thomas-EL, National Education Expert, and Award-Winning Teacher and Principal In Philadelphia, PA. “Every child needs someone to be crazy about them.” These are the words of Salome Thomas-EL, award-winning teacher and principal, and nationally recognized educator. They shape his life-long commitment to answering the question, “How do we ensure that every child achieves their greatest potential?” This question lies at the heart of the national dialogue on education policy, the day in and day out work of school personnel, and the hopes of every parent. Central to this challenge is how we succeed with children who are facing the most serious barriers to success: poverty, violence, neglect, and low expectations. For over 20 years, Thomas-EL has taken on this challenge with the absolute belief that every child can and will learn as long as adults in their world care enough to not give up. Starting as a teacher and chess coach at Vaux Middle School and through his years as principal at several traditional public and charter schools, Thomas-EL has transformed the attitudes and strategies of school staff, parents, and members of the community to help hundreds of troubled children not only graduate from high school but go on to earn higher degrees from major colleges and universities. He brings to the process a powerful combination of passion, caring, and leadership to craft a refreshing, common-sense roadmap to help kids achieve their dreams, no matter the odds. Session Description: Learning spaces are becoming increasingly digital, virtual, mobile, global and 24/7. As such, the impact on the classroom and potential impact on learning will be discussed. This session will share the innovative use of technology both within and beyond classroom walls resulting in the potential to transform learning as it is currently known. Learning can be empowered through synchronous and asynchronous connections locally and globally. Stories from innovative classrooms will be shared together with some favourite tools to use. The potential future of learning through networking and teacher and crowdsourcing will be examined. “Putting the Pieces Together Through Digital Curation” It’s about that time when we have to organize and make sense of all the inspiration, knowledge, resources, and tools shared by our favorite presenters. Insight Keynote, Sue Waters, the famous Edublogger, will introduce you to the art of digital curation. Through digital curation we can have an art gallery of our most loved pieces collected from RSCON4. 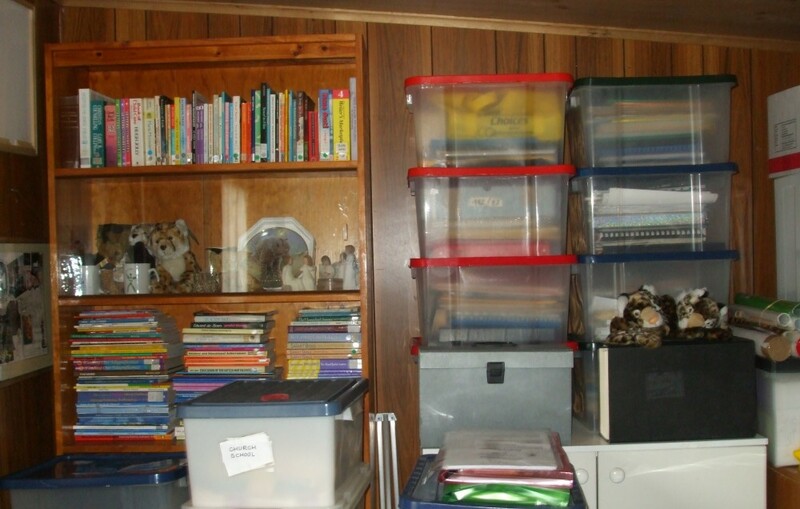 Sue Waters will share tips in collecting and organizing your resources effectively, making it easy to reference when you need it for lessons, and making it visually inspiring! Janet Bianchini Visually Inspire Your Students! Session Description: This practical session will share how I exploit some of my own images to create visually engaging materials for my students. I will be highlighting a few of my favourite image-editing tools and demonstrating how I use them in order to create fun activities both within the classroom and in an online environment. Session Description: Are we giving students enough opportunities to be creative? Do they have time to learn about the things they are passionate about or the things that they wonder about? I believe that a key part of fostering a love for learning is giving students some autonomy and some time to be creative! A great way to do this is by implementing Genius Hour! Genius Hour gives students the opportunity to develop their own inquiry questions and is a set time for students to work on their own passion projects. We will discuss the research behind this type of teaching, as well as the practical aspects of setting it up! Choose2Matter.o​rg is a global movement whose mission is to challenge people to solve problems that break their hearts. The Ambassador Program invites educators to become Choose2Matter ambassadors who present the movement wherever they have the opportunity to do so – whether one-on-one with another educator, at a school assembly, at a local conference, or to local news media. The Quest2Matter is the first embodiment of Choose2Matter. It is an initiative that invites students to submit completed Quests or well-developed ideas to solve a problem. The organization hopes to encourage a large number of students to participate in the Quest to validate the belief that today’s youth form the most compassionate generation this world has ever known. Angela Maiers and Mark Moran, on behalf of Choose2Matter, presented the first Bammy Award for Student Initiative to Mallory Fundora of Project Yesu. ACCEPT–ACCELERATE- ACT on your own particular genius! The entire conference was held online using the Blackboard Collaborate platform. The Reform Symposium Conference is a global community initiative to transform teaching and learning. 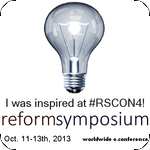 The Reform Symposium Conference is a highly inclusive and engaging event that encourages students and educators around the world to share and learn about transformative approaches to learning and teaching. The times for RSCON4 sessions were better suited to participants in the US and Europe but I did manage to attend several excellent presentations and will be able to listen to recordings of the presentations I missed. Many thanks to all the organizers, presenters and moderators who gave their time to make this such a valuable conference! Here are the some brief notes about the presentations I attended with links to some of the websites and programs that were mentioned. Mark began the session with his rapid-fire keynote- The 5 Minute Teacher in 5 Minutes. Then anyone could participate and share their favourites. Session Description: Over the past few years, my global connections have transformed the way I learn, the way I teach, and the way I see the world. 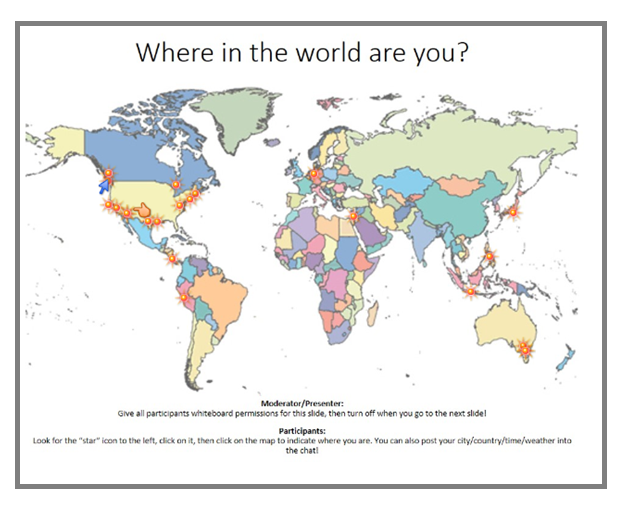 My global journey started in 2011, when I gave my first ever presentation at #RSCON3, and co-founded The Global Classroom Project community. And this year, it took me to the iEARN 2013 Conference in Qatar, where I shared my experiences on the world stage. In this session, I will explore how teachers can enrich their students’ learning, broaden perspectives, and transform their teaching practice by connecting beyond their classroom walls. I’m returning to where it all began, exploring the tools, communities, and online networks which helped me connect, learn, share, and collaborate beyond my classroom walls, and helped me become the educator I am today. Target Audience: Those interested in delivering and evidencing literacy or any topic to remote learners using virtual classroom and Web2.0 for student engagement. Particular relevance to 14-19 y/o, &/or disengaged learners Session Description: A delivery model for remote (or f-2-f) learning that facilitates student engagement through Web2.0 An interactive session on a project funded under the Australian National Vocational E-Learning Strategy. We will share and discuss the model, resources/deliv​ery strategies, progress and outcomes. The project piloted innovative delivery of units from Australia’s Certificates of General Education for Adults (CGEA) online to regional/remote students (mostly in the 15 to 18 age range). Students developed the skills for learning in the digital age to facilitate access to future training more readily through digital media. This involved a short intensive startup for online CGEA aimed at motivating and engaging students and at developing a habit of regular study. They used a virtual classroom (BlackboardColl​aborate) as the main hub/support centre for action learning in the use of Web2.0 technologies and the development of simple media rich e-portfolios using blogs. Supplementary resources were available via a Learning Management System (LMS). Learning activities were mapped to three units at each of the three levels of the CGEA (Certificates I, II and III). Session Description: In this session, we will look at ways that I have used the power of humor, novelty, awe, and fascination to engage students in powerful learning experiences. We can make small tweaks in our routines and incorporate novelty, awe, and fascination so that our students will have lower stress levels and be willing to take more risks and challenges. This is not about smiley faces and being happy all the time, but more about creatively crafting the climate so that students are in the optimal state for learning. We will use real examples from the classroom and allow participants to share their own wow moments that have come about through mobilizing the power of emotions.